Ventec International Group Co., Ltd. (6672 TT), a world leader in the production of polyimide & high reliability epoxy laminates and prepregs and specialist provider of thermal management and IMS solutions, is pleased to announce the completion of a new upgraded temperature & humidity-controlled ISO 7 (Class 10000) clean-room at its German facility. The upgrade forms part of Ventec’s ongoing investment in the establishment and maintenance of meticulous aerospace-standard cleanliness in the prepreg handling areas of the state-of-the-art quick-turn manufacturing & distribution centers in Germany and key locations around the world. Driven by particular demand from high reliability, medical, military and aerospace applications in Europe, Ventec’s German distribution center in Kirchheimbolanden now boasts an immaculately presented, upgraded clean-room for epoxy prepreg cutting and packing. 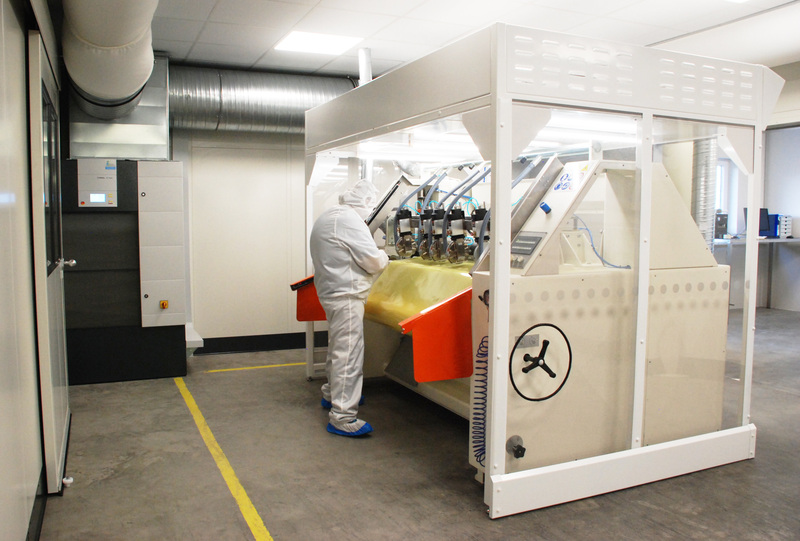 Access is strictly reserved for trained operators in full clean-room outfits. Only airtight doors permit a view into the modern facilities and all specially color-coded handling equipment within the clean-room will never leave the area to eliminate the risk of cross-contamination. A certified ISO 7 (Class 10000) canopy has been installed, so that the Pasquato slitter/sheeter has a constant laminar down-flow of highly filtered air to give an ultra-clean operating environment with real-time monitoring of temperature and humidity. Ventec International is a premier supplier to the Global PCB industry. With volume manufacturing facilities in Taiwan and China and distribution locations and manufacturing sites in both the US and Europe, Ventec specializes in advanced copper clad glass reinforced and metal backed substrates. Ventec materials, which include high-quality enhanced FR4, high-speed/low-loss- & high-performance IMS material technology and an advanced range of thermal management solutions, are manufactured by Ventec using strict quality-controlled processes that are certified to AS9100 Revision D, IATF 16949:2016 and ISO 9001:2015, and are backed by a fully controlled and managed global supply chain, sales- and technical support-network. For more information, visit www.venteclaminates.com.